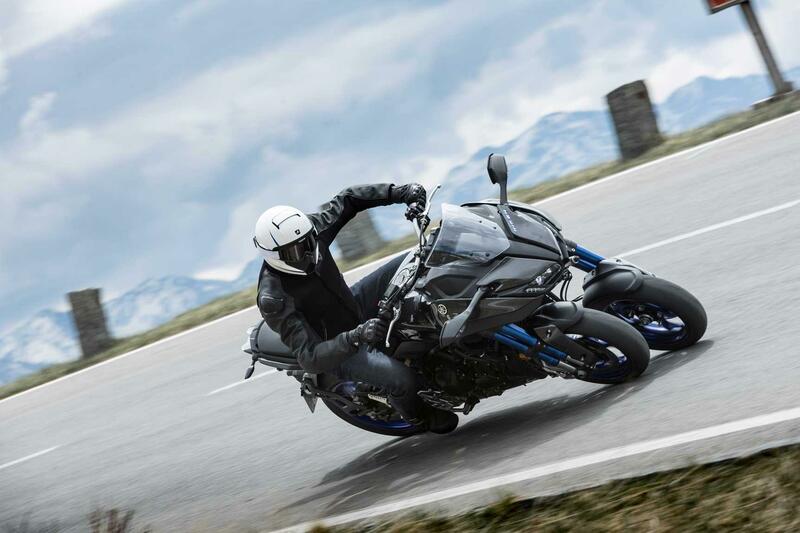 ﻿ Yamaha Niken first ride: Are we likin' the Niken? 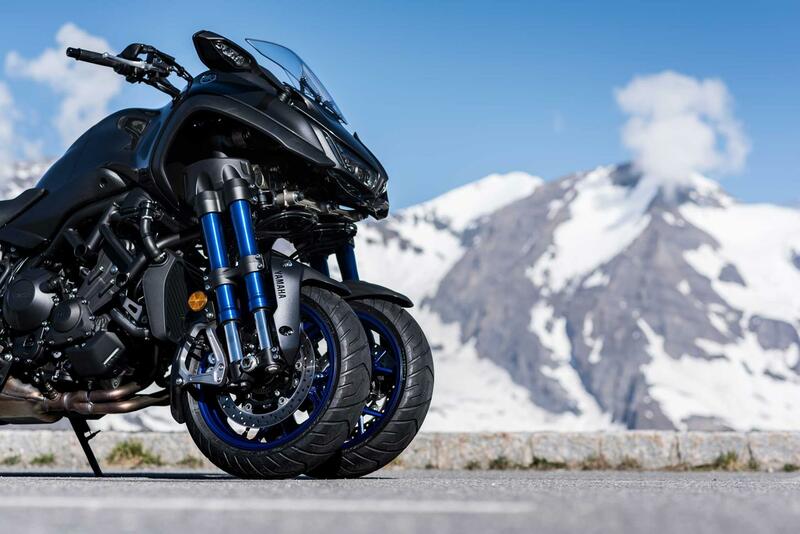 Yamaha Niken first ride: Are we likin' the Niken? Few bikes have confused as much as the Niken. First unveiled at the end of last year to a combination of fascination and incredulity, Yamaha’s LMW (Leaning Multi Wheeler) wasn’t, as some thought, for disabled riders (it’ll fall over when its stationary, just like any other bike) or an easy way for car drivers to become bikers (its track is too narrow to be ridden on a car licence). Instead, it was all about trying to enhance riding pleasure. 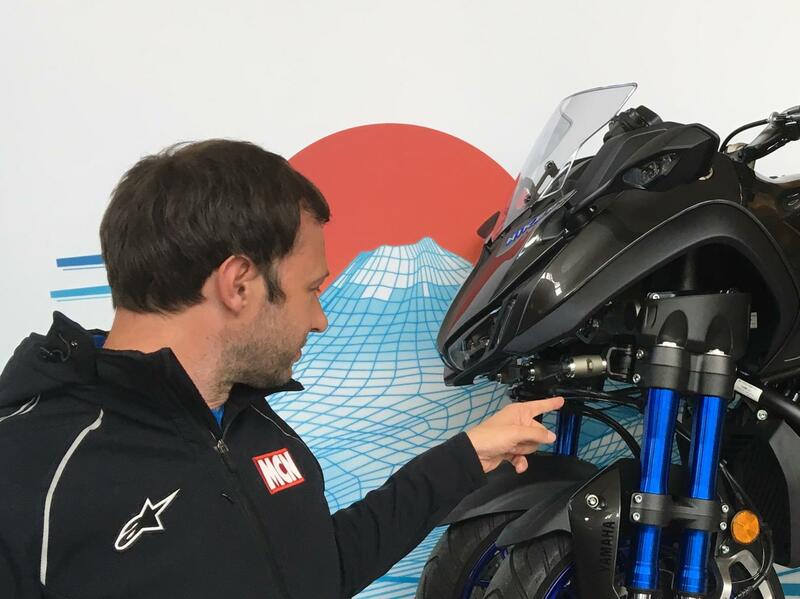 Yamaha's engineers wanted to come up with a bike that gave more front-end confidence and allowed more people to exploit it. Their reckoning was that losing the front was a biker’s biggest fear – and the way to allay those fears was to increase grip. At the heart of the £13,499 machine is a parallelogram system that mounts to the four front fork units. 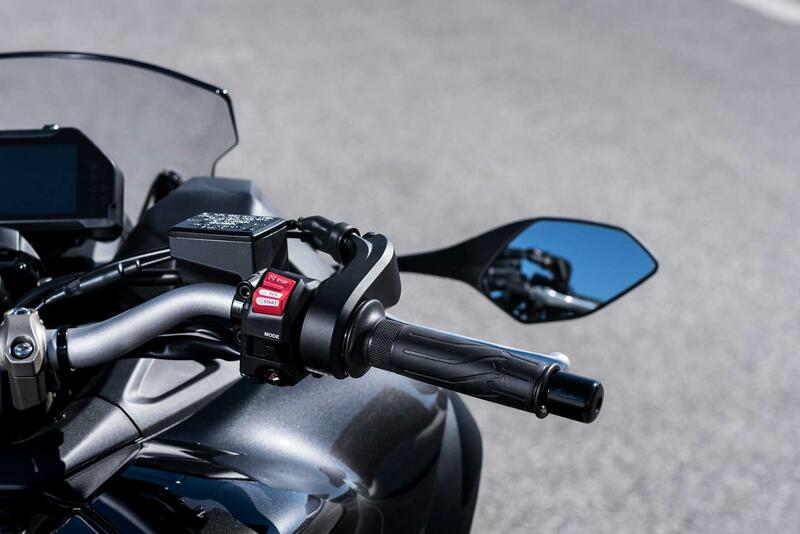 This allows it to pretend it’s a ‘normal’ motorbike and gives 45 degrees of lean, but does add weight and also increases the bike’s frontal area significantly. Riding a Niken is a bizarre combination of the familiar and unfamiliar. 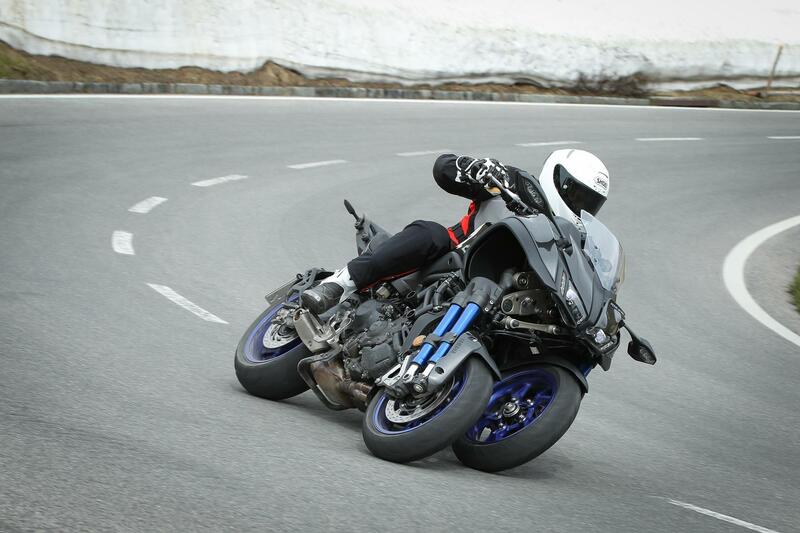 Take the bike off the sidestand (you feel its 263kg instantly) and you can rock from side-to-side like a normal two-wheeler. 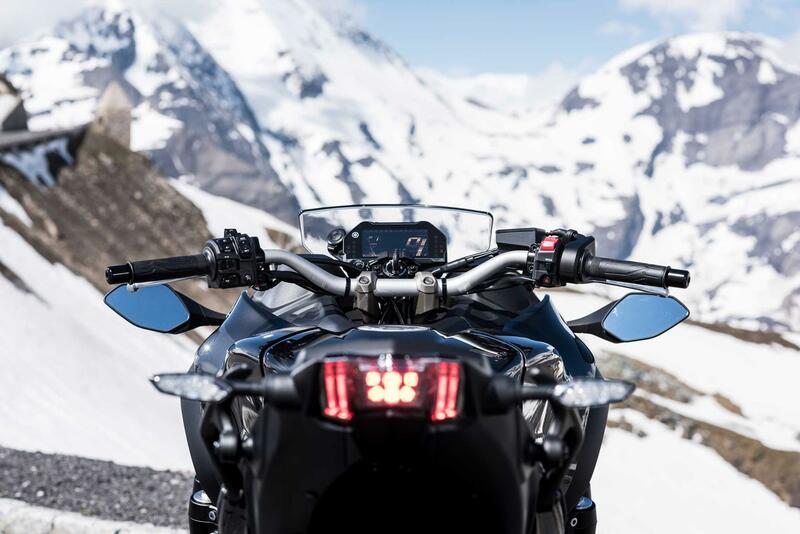 With broad, tapered bars, wide upper bodywork and a sense of mass than never really leaves you, anyone familiar with an adventure bike will feel at home. 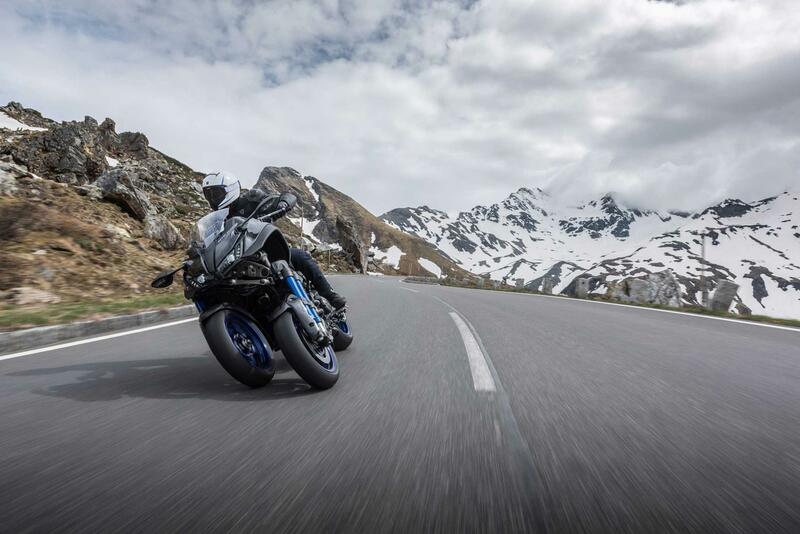 Once you’re rolling, only subtle clues let you know the bike has two front wheels – the first 5mph is a bit wobbly, thanks to the amount of weight being carried up high and weave from side to side and there’s slight resistance to your inputs. It isn’t surprising really – each time you turn the bars you alter the trajectory of two spinning wheels, plus what must be a good few kilos bearings, linkages and rose joints. But first impressions are good. Get on the gas and it responds with refinement and enthusiasm. 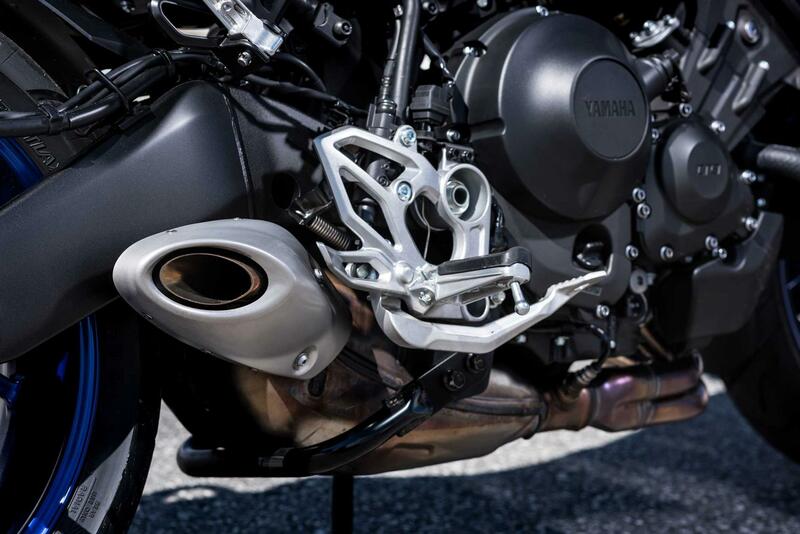 Compared to the other bikes that share the Niken’s 847cc MT-09-based triple, the crank has 18% more inertia and there’s revised (read softened) fuel mapping. This is enough to significantly change the character of the motor – it’s smoother and slower revving but you do find yourself on full throttle and waiting for the motor to catch up. Flowing from one 90mph corner to the next on a dream Austrian A-road, the Niken feels great – and you get so much joy from hustling such a bizarre machine. The gyroscopic effect of those two spinning 15-inch wheels imbue it with peerless stability. On roads that don’t require sudden direction changes there’s a neutrality and accuracy that has you believing the three-wheeled marketing hype. At high speed it shrugs off mid-corner bumps better than most bikes, doesn’t get upset by camber changes and doesn’t tramline over ruts. 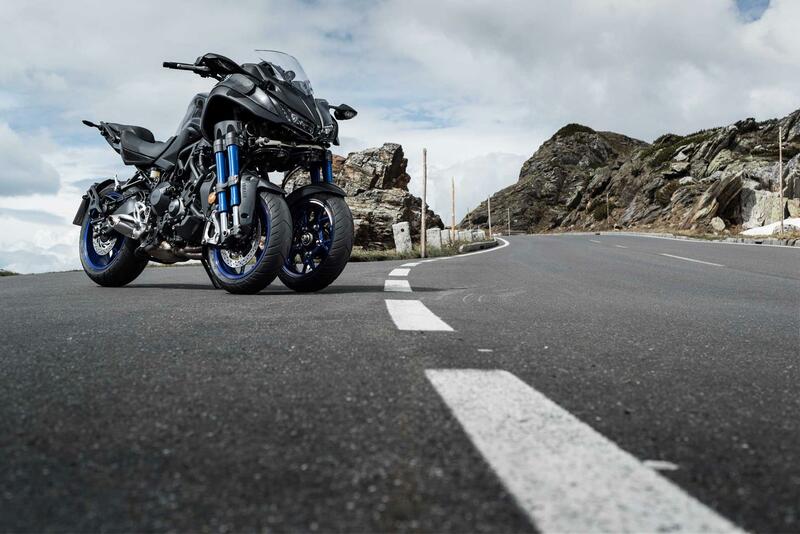 On these roads the quality of the suspension is obvious – there is little in the way of the weaves and wobbles you’d get on an MT-09 or a Tracer. 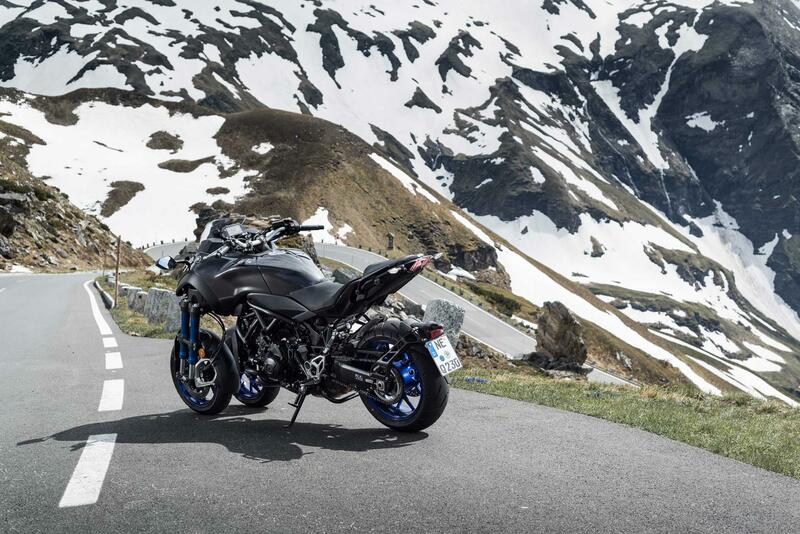 All of this points to the bike working well when the first demo bikes hit the UK this summer. Sadly, things unravel a little as the roads get very tight. 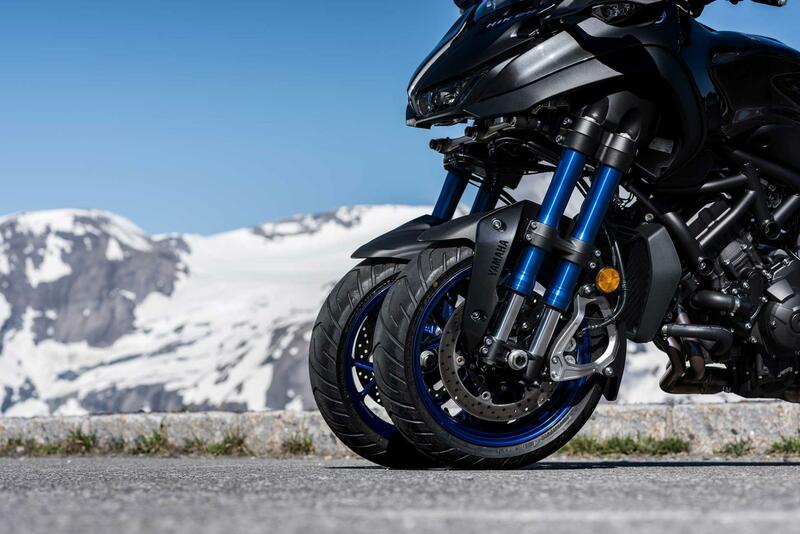 Yamaha opted for 15-inch front wheels in a bid to make the bike nimbler, but the downside is you can only fit small 265mm discs inside them. The result is less mechanical leverage and bite than normal and while the bike does stop consistency, you do need to apply some lever pressure. A 20mph first-gear uphill switchback looms, but there is little chassis feel at this speed – you just have to trust there is grip. Sadly, it’s harder to get the bike to turn than you’d wish, too and as I lever on the bars, the Niken isn’t tracking the line I want. This isn’t the corner-carving dream! But when you examine the physics it isn’t that surprising – with so much weight at the front, Yamaha have moved the rider backwards to compensate. It makes the weight distribution correct at 50/50, but it’s like trying to turn your shopping trolley with a crate of beer at either end – the opposite of mass centralisation. Slow-speed corner exits aren’t great either. It’s too easy to unsettle the rear and while the support of the extra wheel at the front means small slides at the rear seems less of a drama than a normal bike, it is disconcerting. 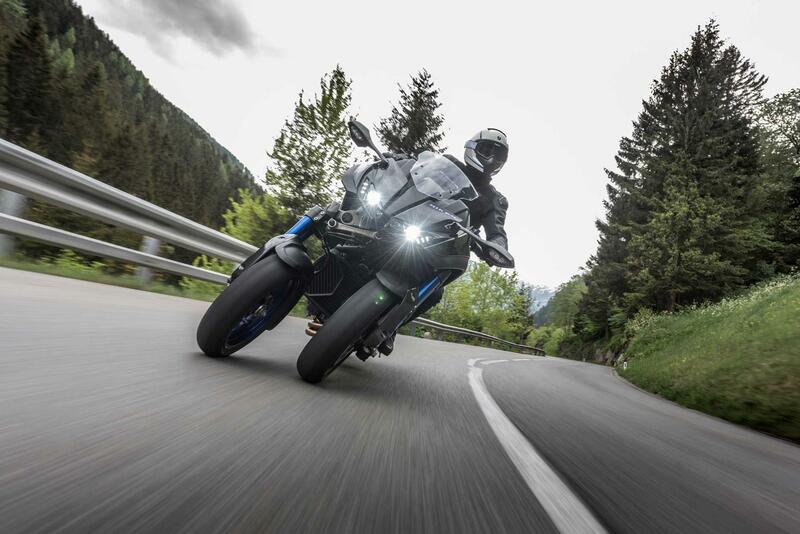 It all point to a poor Bridgestone Adventure A41 rear tyre – in the wet it’s especially numb and will lose traction too easily, negating the confidence-inspiring front. All this mars an otherwise impressive bike, one that works much better as a sports tourer than the corner-carving fun machine they market it as. Yamaha’s technology works well, just be aware of the compromises. 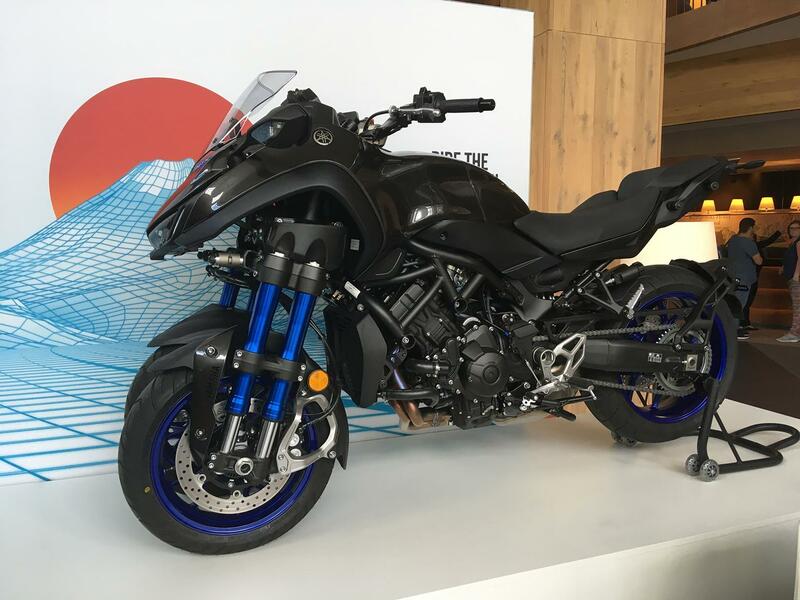 Would you buy a Yamaha Niken? How does a Niken corner? 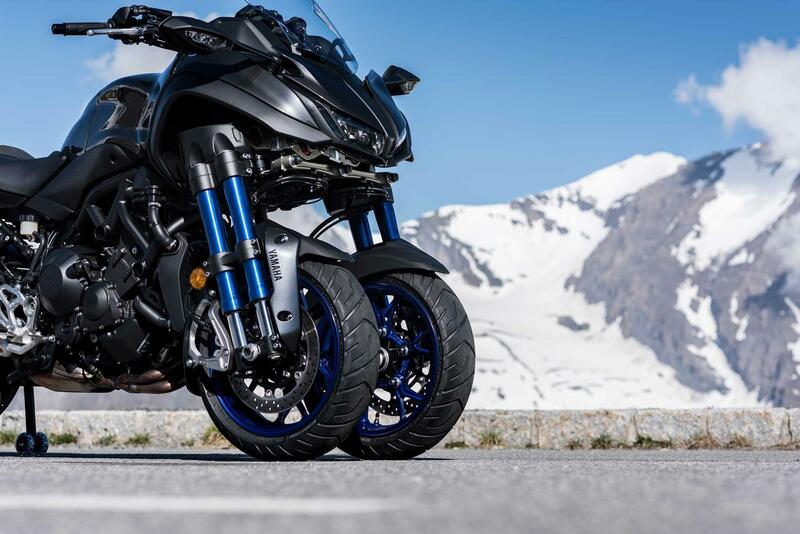 The world’s first three-wheeled production motorcycle uses what Yamaha are calling a leaning multiwheel system (LMS) to give the Niken the front end feeling of a traditional motorcycle despite the fact it has two front wheels. This system is made possible through an Ackermann dual axel steering mechanism, which is then linked to a cantilevered suspension system mounted to the outside of the 15-inch wheels. So how does that work in practice? 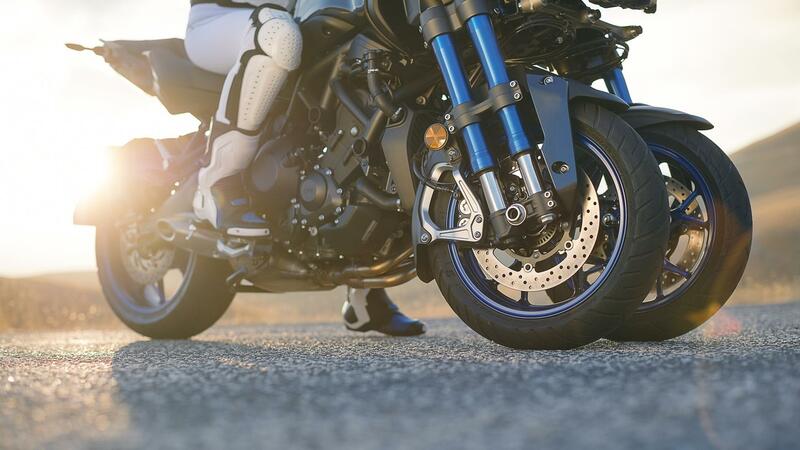 With a maximum lean angle of 45-degrees, the Ackermann system ensures that when cornering both of the Niken’s front wheels remain parallel, something that doesn’t happen on a conventional two-wheeled steering system. 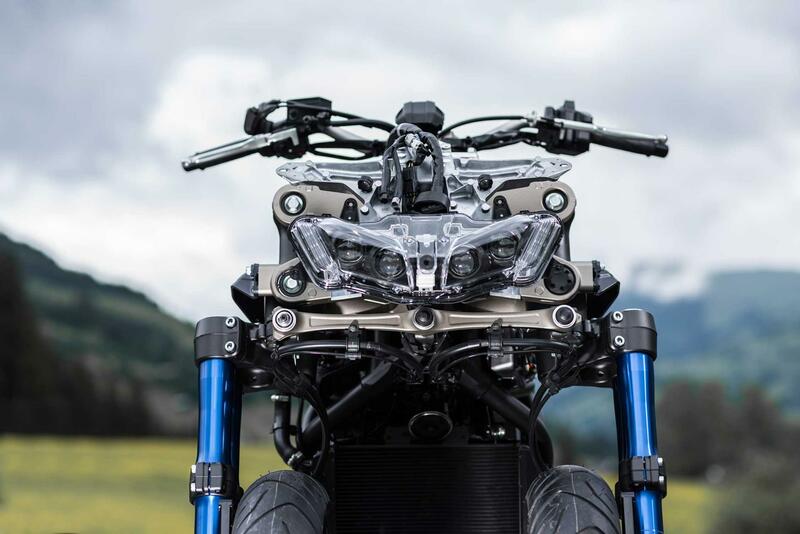 It achieves this through its linkages creating a parallelogram that while it changes in shape as the bike leans, the distance between the front wheels remains set at a constant distance of 410mm. The twin forks attached to either wheel then perform different purposes with the forward fork helping with direction while the rear one deals with damping forces. Does it work in practice? 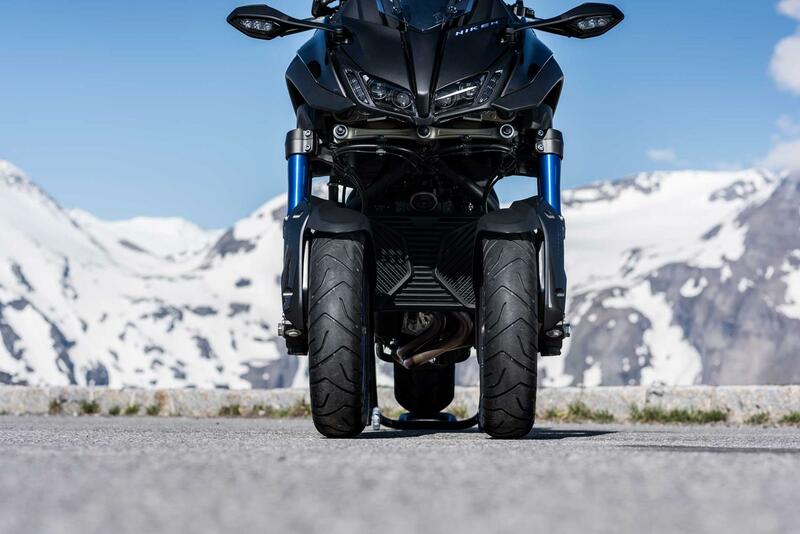 That’s still to be seen, but judging by the video, the rider certainly seems fairly confident when it comes to pushing that two-wheel front end! Have Kawasaki taken the three wheeler concept to the next level? Can-Am have released a new cheaper model called the Ryker, which is aimed at a younger audience.